Do You CRAVE a Party? Posted on July 26, 2011 at 7:10 am. The summer is a great time for an informal get-together! 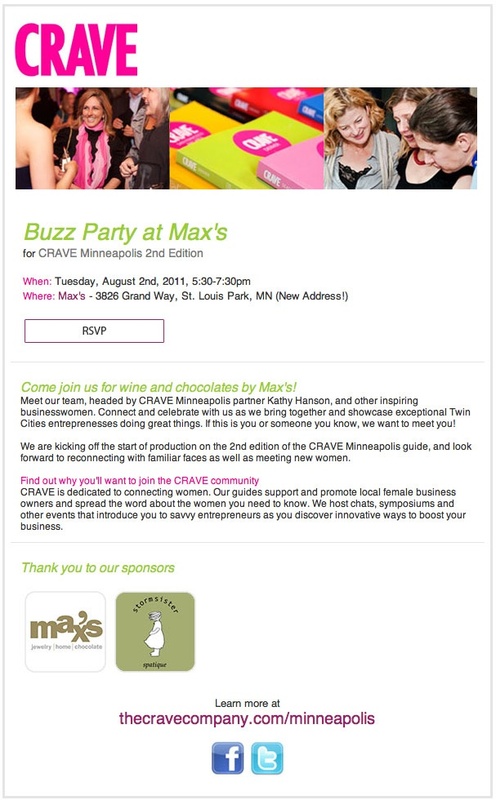 Join us next Tuesday night, August 2 from 5:30-7:30 as we host a CRAVE buzz party. The CRAVE blue book features local women-owned businesses and is getting ready to for a second publishing. You don’t need to be a business owner to attend — you just have to want to show your support for local businesses. I hope that you’ll join in the “buzz” — please call us with any questions!